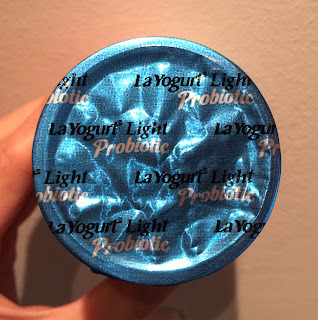 La Yogurt Light Probiotic Peach and it's a nonfat yogurt with peach cubes. The lid was same as Banana Cream Blended. 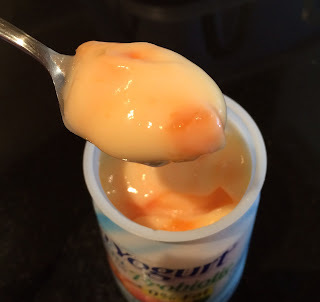 The yogurt had cream orange color and the peach chunks were easy to spot. 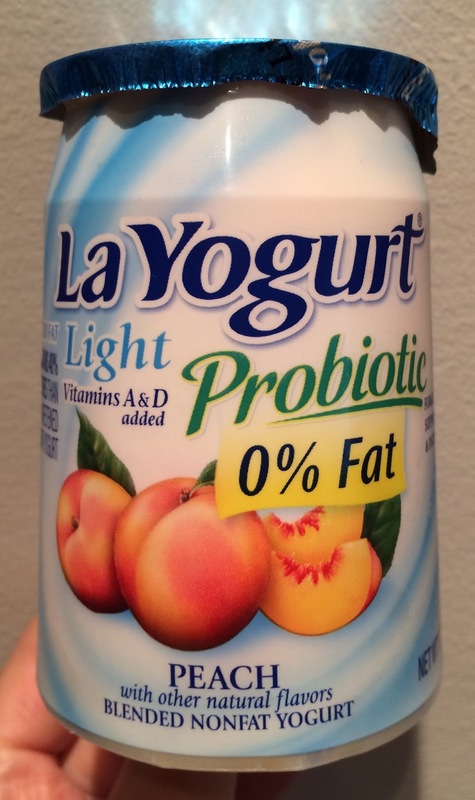 It's fruity and sweet, and the peaches had soft and fibered the latter of which is found around the core. 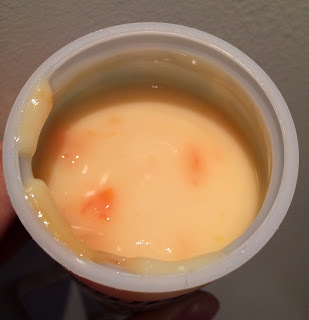 To have actual fruits in the yogurt was much tastier than flavored yogurt.